Sweet young couple, Brittany and Bryce, were married in Maleny amidst a creative collection of arranged blooms. 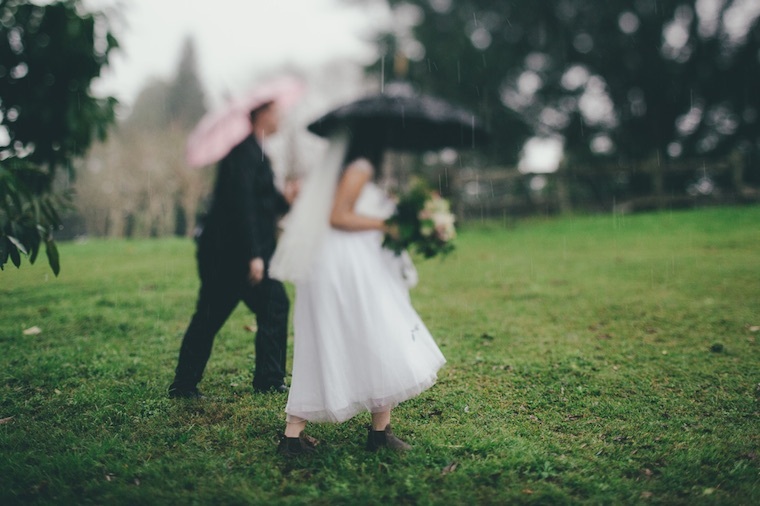 There were so many lovely layers of family involvement in Brittany and Bryce’s wedding on a very wet Sunday in June. 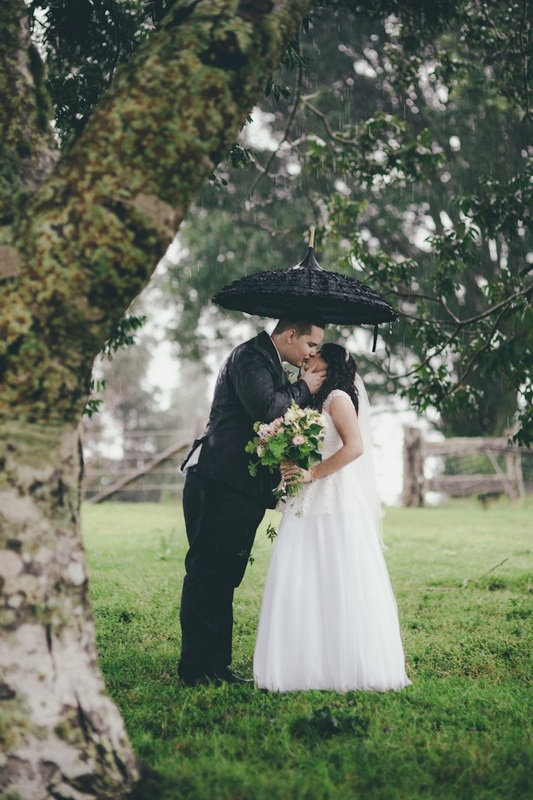 Brittany and Bryce were to be the first couple married wedding at Victoria’s Chapel in North Maleny when it reopened. Bryce’s parents were married in the same chapel at its original Beerwah site. 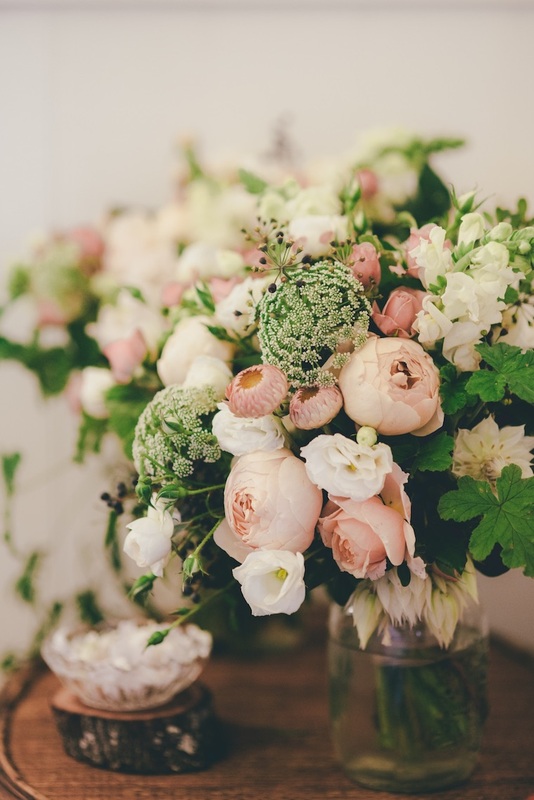 Brittany’s brief to florist Cat Shipton of Woods & Bloom for her bouquet and chapel flowers was a rustic and neutral colour scheme, sio Cat built a concept that incorporated Brittany’s love of heritage roses and baby’s breath in a modern way. 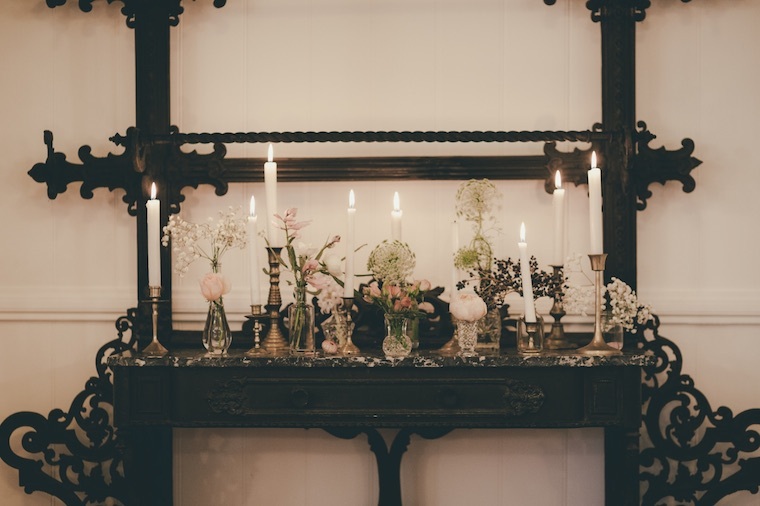 The bouquets and other arrangements were creatively crafted using a eclectic collection of blooms, including Queen Anne’s Lace, snapdragons, paper daisies, lisianthus, ivy berry, privet berry, scented geranium, foraged jasmine trails, heritage and spray roses in cream, apricot. 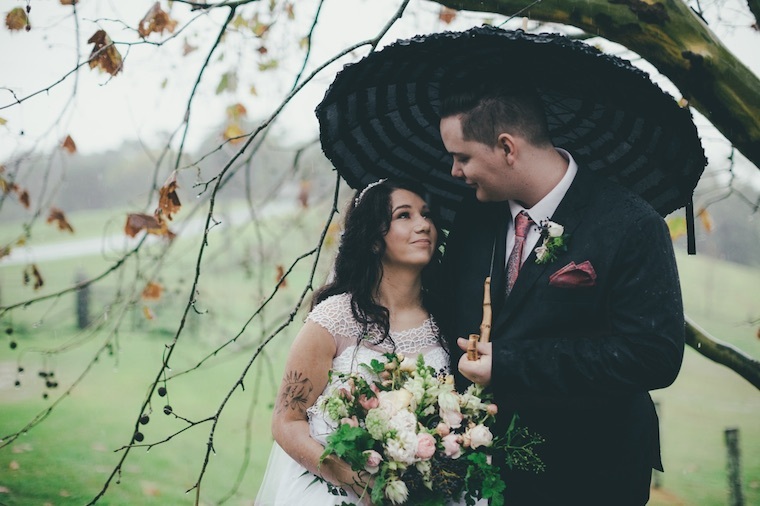 Their wedding day may have been rainy, but the result was a beautifully moody moment in time with lush greenery in these uniquely romantic images by Artography. and peach. Brittany’s stepmother created a lovely keepsake flower crown and basket for the sweetest little flower girl – Bryce and Brittany’s eldest daughter.